Looking for an Outdoor Family Getaway? A family overnight getaway is an eagerly anticipated event that provides both fun and wonderful lasting memories if planned and organized correctly. The tricky part comes in finding an option that suits both your budget and individual interests for every member of the family. A vacation getaway focused on the outdoors is an ideal solution for many families that are trying to figure out where to go. For countless reasons, a retreat in the mountains, woods, or other non-urban area is the perfect vacation. Nature has a way of bringing families and friends closer together. Sharing together in the peace, beauty, and adventure outdoor activities have to offer creates unique and special memories. If you’re looking for opportunities to work together and learn to get along with one another, try building a fire or pitching a tent together. Spending prolonged amounts of time outdoors also offers the ideal environment to teach valuable life skills. If roughing it really isn’t something you and your family are interested in, you can rent a nice cabin which enables you to enjoy all the wonderful benefits of the outdoors, while having a dry place to retreat to for sleep, meals, and relaxation. You can enjoy fishing as a family early in the morning, outdoor hikes of different levels of difficulty, bike rides, four wheeler adventures, rock climbing, kayaking, zip lining, or just relaxing in a hammock with a good book. Be sure to allow plenty of time for research before reserving a cabin or campsite. With good reason, there naturally are going to be times of the year that are more popular than others. Spring through Fall provide the best opportunity for getting the most out of your trip, especially if you are camping. Those who are especially adventurous might possibly enjoy a winter escape for a chance to enjoy ice fishing, snowshoeing, skiing, snow hikes, or to cozying up in a warm cabin. Just be sure you have the correct gear, experience, and expectations when planning an outdoor family getaway of any kind. 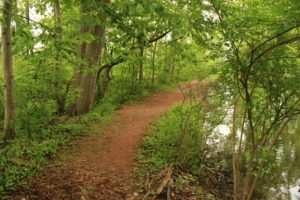 Whether it be a particular mountain range, campground, retreat center, or lake you can discover a lot about a place before you leave your home. If you are near enough to your projected location, you can schedule a personal tour. In addition to a pre-visit, or if you can’t make one, there are plenty of useful review sites where past visitors can provide some insight into their experiences, both positive and negative. You can also receive suggestions on accommodations and what activities and sights are available at your destination or in the general area. Such sites are very informative and helpful in planning a trip and might give ideas you hadn’t considered beforehand. For example, many of Refreshing Mountain’s customers post reviews for their family cabin getaways on TripAdvisor.com. Friends, family and even coworkers who have taken similar trips can also be a valuable resource for recommendations and suggestions. Instead of going out and buying a lot of costly new equipment, you might even be able to work out an arrangement to borrow/rent camping gear like tents and cooking gear, skis, or other necessary items. Do you want rustic, adventurous, relaxing, etc? For a getaway your family will always remember, take the time up front to research and planning and decide what type of getaway you want to enjoy. Often rustic vacations take a bit more planning up front but more than make up for it when you spend time outdoors relaxing and enjoying the sights and sounds of nature. Either way, adventure, entertainment, and togetherness are awaiting you when you go on an outdoors family getaway. If a rustic getaway isn’t quite what you are looking for, consider the beautiful cabins at Refreshing Mountain. Refreshing Mountain has been providing overnight group and family outdoor retreats for over 30 years. We have newly constructed cabins and many onsite recreations and outdoor adventure activity options as well as close access to many Lancaster County attractions. Overnight guests have access to our community pool and outdoor recreational facilities and also enjoy discounts on our canopy zipline tours. We would love to help you plan your next getaway. Click here to contact us today or call (888) 353-1490. Editor’s Note: This was originally published 3/10/2014, but was updated on 9/4/2018. 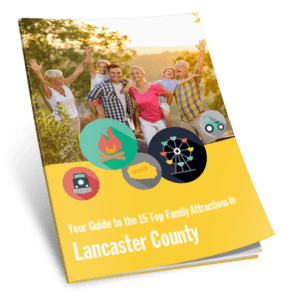 Looking for Something Fun to Do in Lancaster, PA?